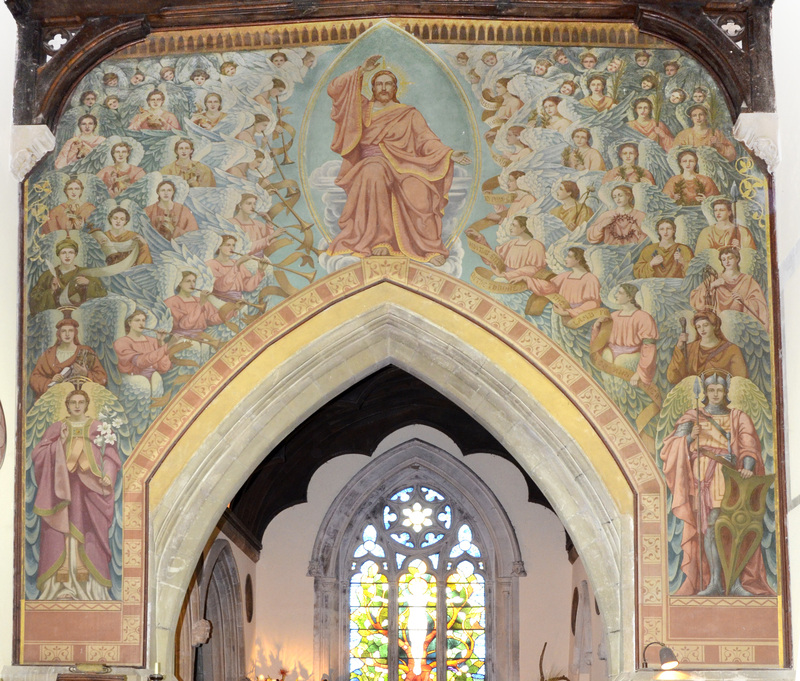 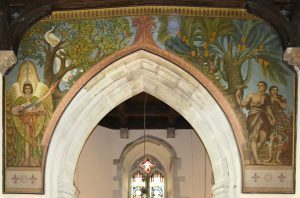 The chancel arch and tower arch of Eversholt Church, viewed from the nave, are hung with canvases by Edward Aveling Green. I, Emrys Williams, took these photos with direct camera-mounted flash in June 2016. 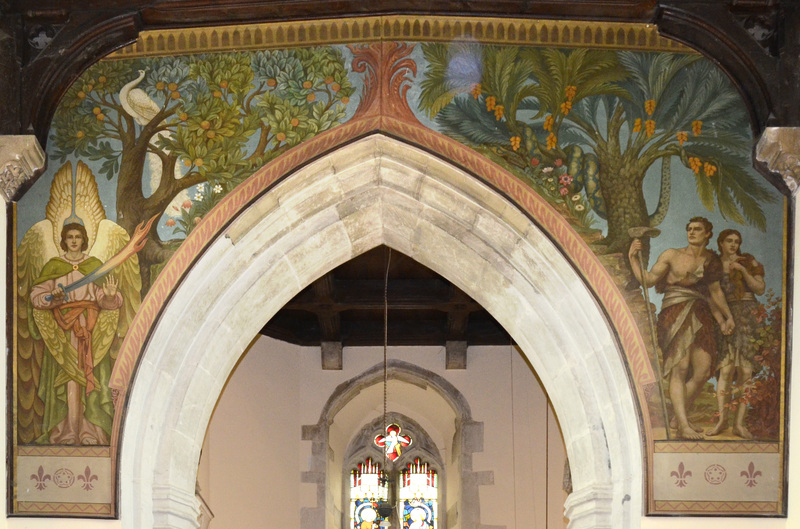 They have been photoshopped to correct geometry and exposure and enhance contrast.